Earlier this month, the story of the elephant killed in a circus truck accident on a major Spanish highway broke hearts around the world. The incident was a reminder that “these incredible animals are being carted around the country, confided and forced to perform, “ said Animal Defenders International President Ian Creamer. The life of a circus elephant can be long and pitiful; taken at a young age from their mother, kept in isolation; trained in fear. 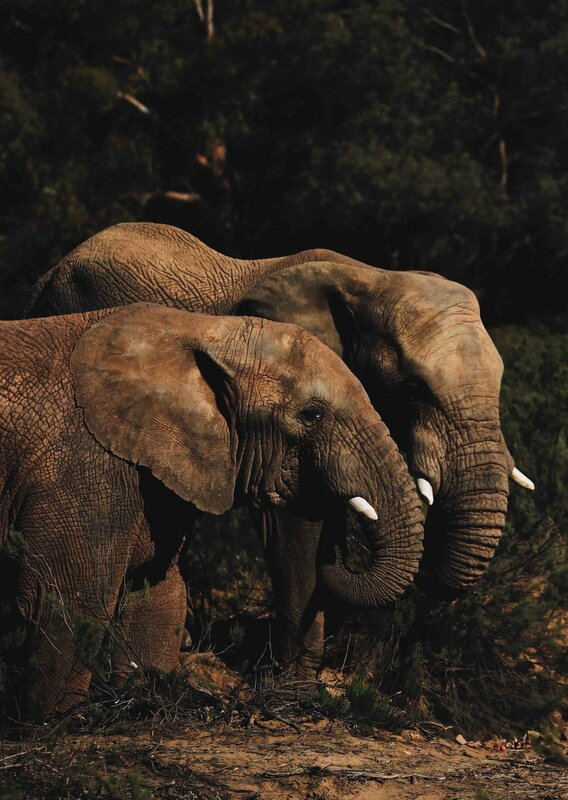 If any consolation can be taken from the sad body on the Spanish motorway, it is that change is happening as people wake up to the tragic discrepancy between the intelligence and beauty of the elephant and the ways they are treated. Italy, Belgium, and Sweden have put bans on the animal entertainment industry but Spain has yet to catch up and more than 100 of these gentle giants remain in the circuses throughout Europe. And, if and when they are eventually set free, there’s nowhere for them to go. Now, one Belgian couple is building them a home. “The law is changing fast,” says former elephant keeper Tony Verhulst. “Relocating those elephants back to their country of origin is not always a realistic option. Creating a safe haven for them is. However, there has not been a sanctuary for elephants in Europe ... until now. “We had a vision of creating a haven for elephants to retire and to help the re-socialisation and rehabilitation of captive-kept elephants,” he says. “We are passionate about all animals and nature and we want to share that passion. And we are devoted to providing a place for elephants to enjoy their old age.” And so, Elephant Haven was born. 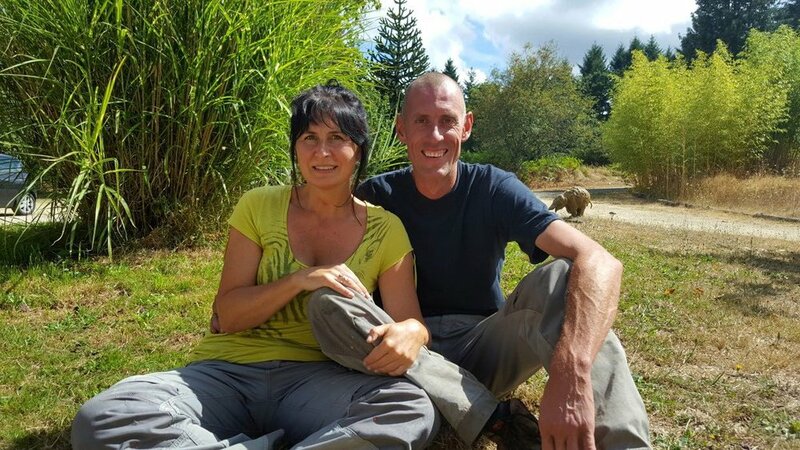 Tony and co-founder Sofie Goetghebeur have more than 20 years experience working in Belgian zoos – where they met. “I worked at the Antwerp Zoo between 1993 and 2015, and began caring for elephants full-time in 2001,” says Tony. Sofie worked at the same zoo, taking care of birds, small monkeys, okapi, marine mammals, gorillas, orang-utans, chimpanzees coming from an animal centre and, of course, elephants. Belgium offered few options; France seemed more promising. After three years, Tony and Sofie found what they were looking for: a beautiful location at St Nicolas Courbefy, in the south central French district of Limousin. There’s space, water, hay, delicious trees like willow, chestnut and birch. One can only imagine what the elephants will make of it - and the warmth of the welcome they will receive. Tony and Sofie moved to France in September 2014. “It wasn’t an easy decision to leave my elephants, who I had been taking care of for more than 15 years,” remembers Tony. “Or for Sofie to leave her beloved chimps and okapis. But it was the right decision. Without a precedent for such a haven in France - or anywhere else in Europe - administration has been complex and difficult (“This is not an easy place to start a project,” says Tony, ruefully) but authorisation was eventually granted. With an extra boost from the Fondation Brigitte Bardot, Phase One of the project - a spacious barn for a maximum of three elephants with a 10 acre enclosure - has begun. “The barn is a conversion from an existing open stable and it has to be closed and insulated,” says Tony. “It needs windows and doors, ventilation and heating, a caregivers area …” Inside, elephants will sleep in comfy sandboxes (“against a pile of sand so that the elderly ladies can get up easily,” smiles Tony). “There was lots of interest when people found out about Elephant Haven. We met people who gave us great advice and other people who thought it was a stupid idea and that we were both crazy. We also got people who said the whole project was a con,” says Tony. “Fortunately, we also had so much support: from family, friends and colleagues; from businesses and organisations - and from a host of dedicated volunteers. If things go to plan, the first elephants will begin their long deserved retirement later this year. The future holds a second barn for five elephants as well as an education centre where children and adults can learn more about elephants and the nature at the sanctuary - via walking paths and lookout platforms so that the elephants are never disturbed. For Tony and Sofie, the haven is as much about providing information about the complex needs and behaviours of elephants as it is about providing refuge for tired animals. There’s still work to be done but the vision is - finally - turning into glorious reality. “Everyone helps with the project now,” says Tony. “Everyone wants to see that first elephant here as soon as possible.” The feeling is probably mutual. Driving every step of this ambitious project is the team’s absolute passion for all elephants. “I have worked with elephants for more than 14 years and after all that time, you understand more about them,” says Tony.